Brentwood TownThe town grew up in the late 12th C. around a forest clearing - as a convenient stopping place for pilgrims travelling from the Midlands to Canterbury. It later developed as an 18th C. coaching centre with some good inns. Today the borough of Brentwood is a pleasant mixture of well regarded towns and extensive open countryside located a little beyond the London conurbation. The district includes the towns of Brentwood, Hutton, Shenfield, Ingatestone and Warley as well as several picturesque Essex villages. Brentwood has also its own theatre and radio station. Historical events that took place here include the start of the Peasants Revolt and the burning of the martyr William Hunter. 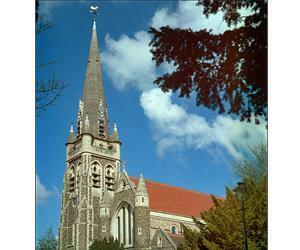 Local sights include Mountnessing Windmill, Ingatestone Hall, the ruin of the Chapel of St Thomas à Becket and the modern Roman Catholic Cathedral of Brentwood. The town grew up in the late 12th C. around a forest clearing - as a convenient stopping place for pilgrims travelling from the Midlands to Canterbury. It later developed as an 18th C. coaching centre with some good inns. Brentwood is located next to the M25, A12 and A127, and just under half an hour to the City of London by train.